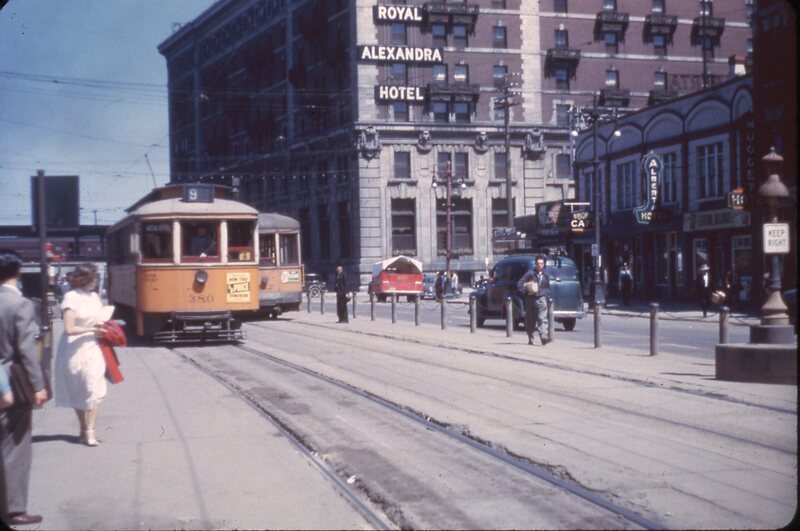 This is a retrospective film which takes us back to the days remembered by few, when Winnipeg had a working streetcar system for public transport. Well researched with archival photos and old film footage this piece, originally commissioned for Television Broadcast by MTS Cable, Backtracks was screened to an appreciative audience at Cinemateque, Winnipeg. Streetcar Rail Removal, a photo by buflyer200 on Flickr. 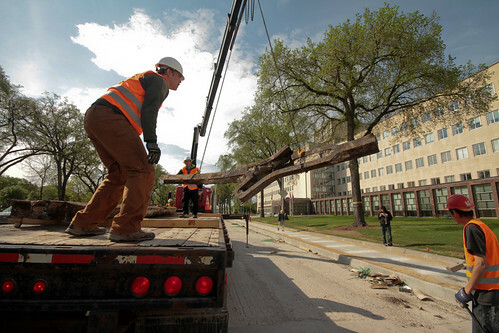 The Streetcar rails being taken away for storage. At some point, they will be reunited with Streetcar 356 for a display… and never covered in concrete again. 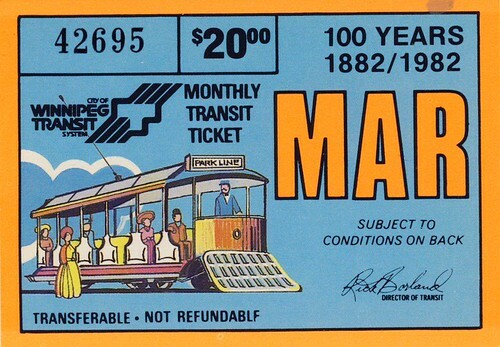 1882-1982 transit pass 100 years, a photo by buflyer200 on Flickr. Now it’s the 130th anniversary of transit in Winnipeg. And it started with streetcars. Streetcar Rails, a photo by buflyer200 on Flickr. more pictures of the streetcar rails at Broadway and Osborne..
At the corner of Osborne and Broadway, encased in concrete for the last 56 years.. 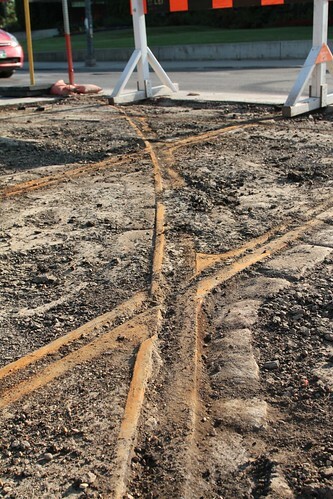 Recent roadway construction on Osborne St. has uncovered them. 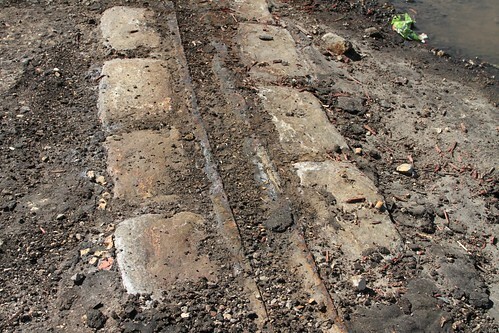 These must be the original rails with the cobblestone beside the steel. A heritage item brought to the surface, and it must be preserved, and could potentially even be reused. 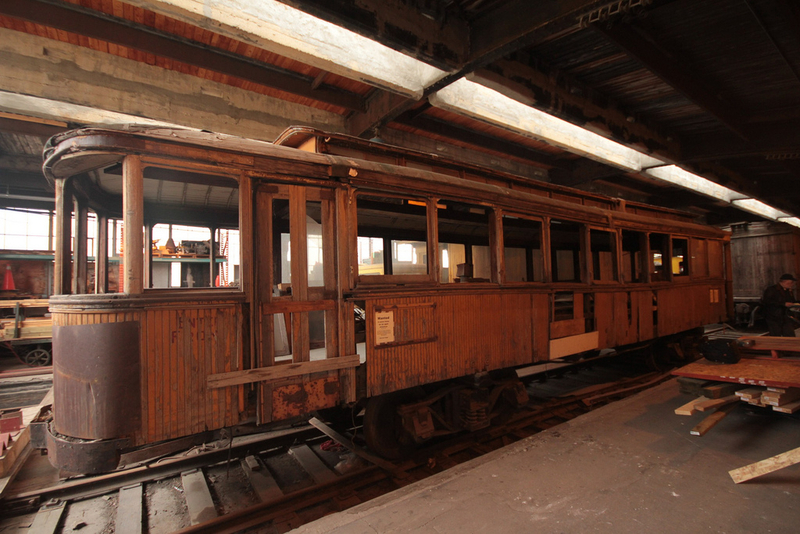 How about some Streetcar lovin’ to get this restoration project moving? A small fraction of the money spent on all these projects would get Streetcar 356 back into the history books as a valuable historical attraction to this city. When the Streetcar has been restored to museum display condition, it will be a self sustaining attraction for events, weddings, meetings, school trips, and many other possibilities. Families and kids love historic Streetcars, I have seen the market they attract in many active Streetcar operations. 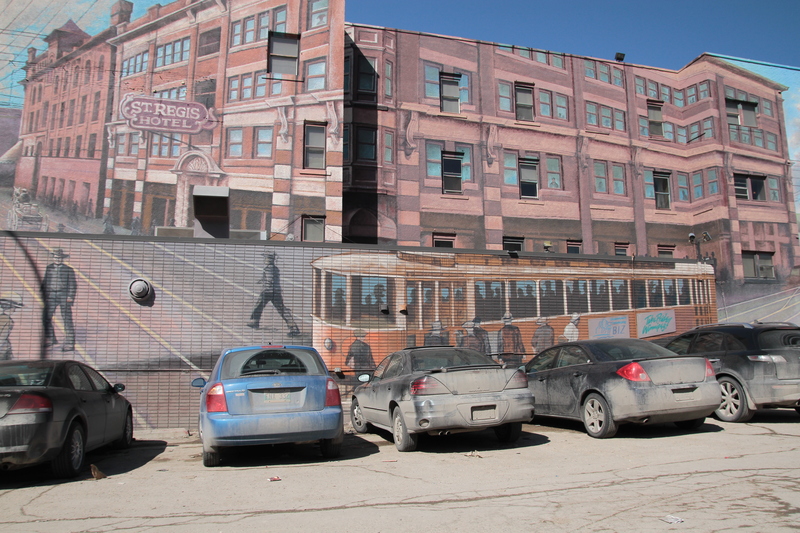 We need a building, then we can restore and display the streetcar for all of Winnipeg to enjoy. How about it? What’s out there? Let me know if you have any ideas or suggestions. Winnipeg Streetcar 404, a photo by buflyer200 on Flickr. 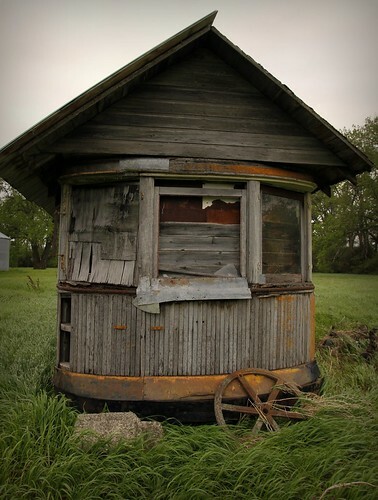 On a farm south of Winnipeg, a 100 year old streetcar still standing. it’s not in use anymore, but it has seen better days. Streetcar 740, a photo by buflyer200 on Flickr. I received some sad news a few days ago, Peter Heide passed away from Cancer. 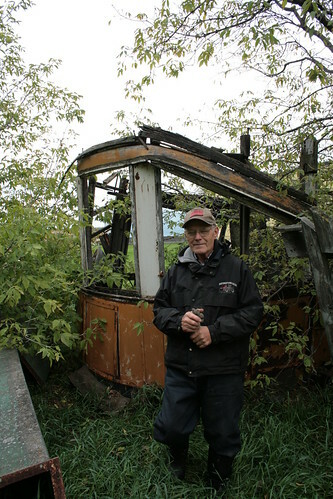 Peter owned 2 steel Streetcars, 720 and 740 at his farm near Winkler. He contacted me after a newspaper article appeared in the Winkler Times, and invited me down to see them. I met with him in October 2009, and in October 2010 I was able to start salvaging parts of the Streetcars for use in restoring 356 with Heritage Winnipeg. He remarked to me “if you had been here 25 years earlier, you would have had 2 intact streetcars for your project” as they were not suitable for any farm storage of grain/feeds etc at all. Someone eventually had asked to (20 years ago) remove the internal wiring on the streetcars, which eventually weakened and collapsed the ceiling , and then the weather took it’s toll after that with rain,snow, heat…. I watched this on the National Geographic channel recently, it’s a nice history of Streetcars, with Toronto as the backdrop, the first segment is below. It gives a good background into a city’s early development of transportation, and Winnipeg would have had the same progress, but of course we switched to buses in 1955. I’ve noticed three streetcar murals around city, and I thought I would compile them here with the locations. It’s interesting it’s a popular historical theme.